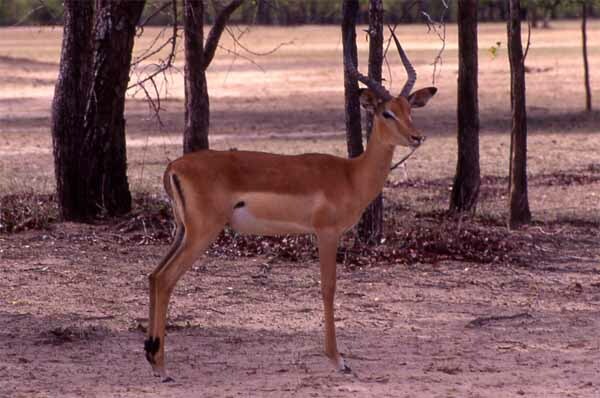 The graceful impala (Aepyceros melampus, Swala or Swara pala) is an abundant antelope of African savanna. They're widespread in many parks and reserves, and provide important prey for leopards, lions and scavengers. This bachelor male was roaming around in Victoria Falls National Park, Zambia.